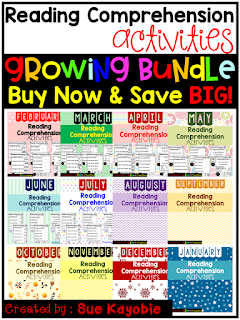 Are you looking for monthly Reading Comprehension Activities for your students? Look no further, and these monthly passages are perfect for beginning readers. Each monthly set comes in three formats. 5 pages of Reading Fluency, 5 pages of Reading fluency check cut and paste, and 10 pages of Reading Comprehension will suit the needs of your students. I have provided a copy of all those 20 pages without the “dots” for tracking. These activities work well for a small group practice, fluency practice, class discussions, homework, and for assessment use. 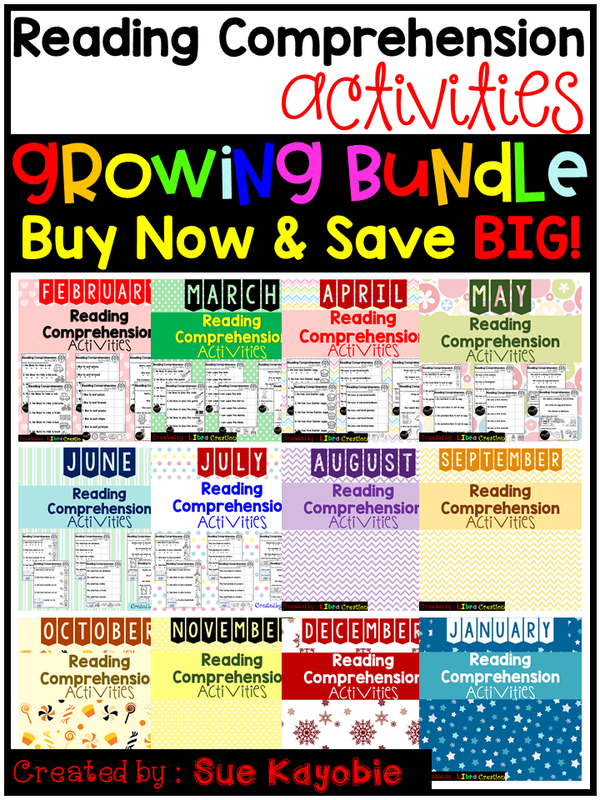 There are 12 sets of monthly Reading Comprehension Activities. If you choose to purchase the sets individually, you will spend $4 each set or $48 total. This growing bundle will allow you to purchase all 12 sets at a discounted rate. This means that you are purchasing the bundle before it is complete. This is a great deal, and the discount is HUGE!! All you have to do is be patient and re-download the next sets as soon as it is out. As the bundle GROWS, the price will also grow. So, BUY NOW for the lowest PRICE.